eBay, the multinational e-commerce corporation, announced a new membership delivery service to galvanize the online retail scenario of Australia. eBay will soon be launching the offer called eBay Plus to Australian internet shoppers to avail unlimited deliveries and returns of items bought from numerous Australian retailers. The membership will cost a fee of $49 annually. David Ramadge, senior director of product and shipping, eBay, was reported to say that the retail behemoth is looking to stimulate online shoppers of Australia with eBay Plus which is scheduled to be active from middle of June. Ramadge observed that e-commerce is still an unsaturated market in Australia with only 8% of retail dollars being spent online. Spending in online retail in Australia is only half of the amount spent in more advanced markets of Korea and UK, claim sources. Ramadge further mentioned that eBay is aiming to increase Australian online spending to 15%-20% over time. Apparently, eBay’s competitor Amazon already has such a service available in the United States and charges no extra delivery fee to Amazon Prime members. Other services like video streaming are also available under the Amazon Prime banner for a monthly subscription. Amazon Prime services are not yet available in Australia. According to eBay, among the 13.6 million online shoppers of Australia, 36% spend more than $71 annually on delivery charges while around 8% spend more than $200. Myer, one of the notable department store chains and clothing company, Just Jeans, charge $9.95 for standard deliveries for purchases under $100. The same apparently holds true for a majority of Australian online retailers who levy a certain delivery charge for shopping under a particular spending threshold. 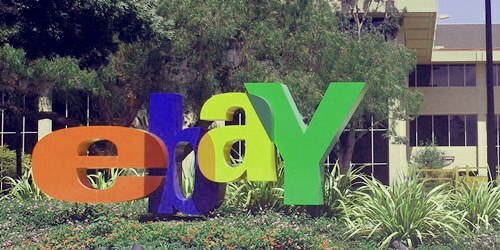 eBay plans to fund the eBay plus program and bear all the cost of delivery. Ramadge declared that there will be no incremental cost to the thousands of Australian retailers who sell their products on eBay. eBay had launched the eBay Plus program in Germany in 2015 and Australia will be the second country in the world to avail the program.